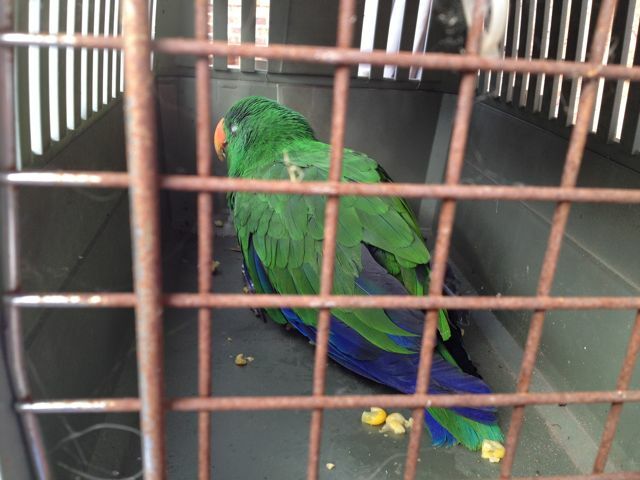 We saved the parrot. It came to our garden and had trouble flying. I managed to put the dogs inside, keep the kids away from the bird, find Slepton's old crate, call Australian Wildlife organisation, find the local vet who accepts sick native animals, get the bird in the crate, put the babies in the pram and walk with the twins in the pram and the bird in the cage to our local vet. I don't know if the bird will survive but we did our best.